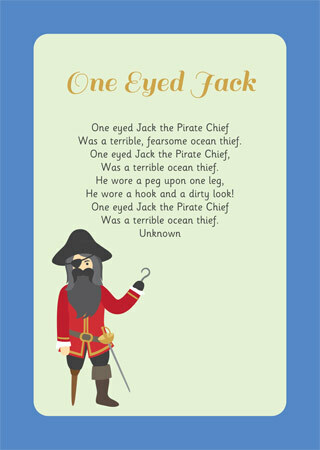 A pirate themed poem about One Eyed Jack the Pirate Chief and his life as the terrible ocean thief. This catchy rhyme would make an ideal addition to your pirates theme. can’t wait to use this poem this week. Two pirate themed printable rulers.